"This is not the story of who, this is the story of why." 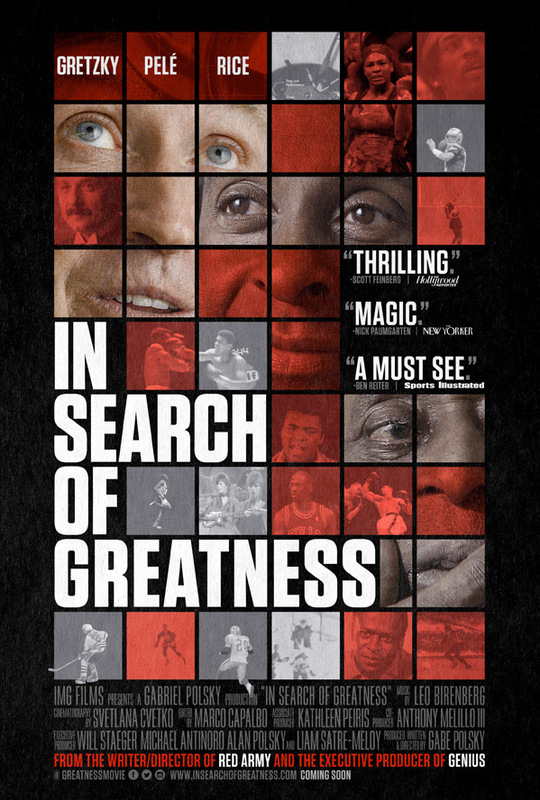 The first great trailer has debuted for a new sports documentary titled In Search of Greatness, described as a "groundbreaking" film about the true nature and nurture of the greatest athletes of all time. What makes these people so great, how do they become champions, is it in their blood or something else? In Search of Greatness is the next doc made by filmmaker Gabe Polsky, who made the fantastic hockey doc Red Army (which I still recommend). Polsky describes his intent here: "That the systems meant to cultivate us often stifle us instead, discouraging qualities that typically define those who leave a mark on the world: imagination, instinct and individuality. In a culture at risk of losing its soul to systems of all varieties, these ideas seem more vital than ever. How can a society so obsessed with success fail to understand its essence?" This looks very, very good - can't wait to see it myself. In Search of Greatness, produced in partnership with IMG Films, is a groundbreaking new documentary revealing the true nature and nurture of the greatest athletes of all time. Through a series of intimate conversations and captivating footage, Polsky leads viewers on an entertaining, thrilling, and inspiring personal journey. The film explores everything from upbringing, coaching, and genetics to creativity, psychology, and philosophy. Featuring original interviews with iconic athletes Wayne Gretzky, Pelé, and Jerry Rice, as well as renowned thought leaders Sir Ken Robinson and David Epstein, Polsky's In Search of Greatness resonates beyond the world of sport to realms of self-expression, attitude, and human nature. The film is directed by American filmmaker Gabe Polsky, of the doc Red Army, plus the film The Motel Life, as well as producing work. In Search of Greatness will be released later this year - stay tuned for info.